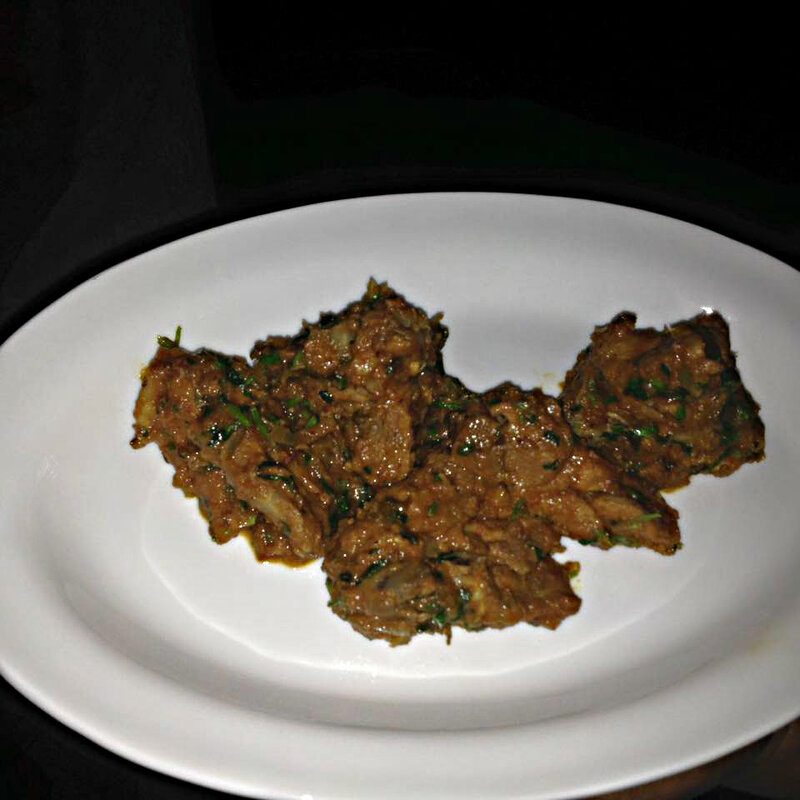 You gotta try it: Coringa is now in Koramangala- The ultimate destination for coastal delicacies! 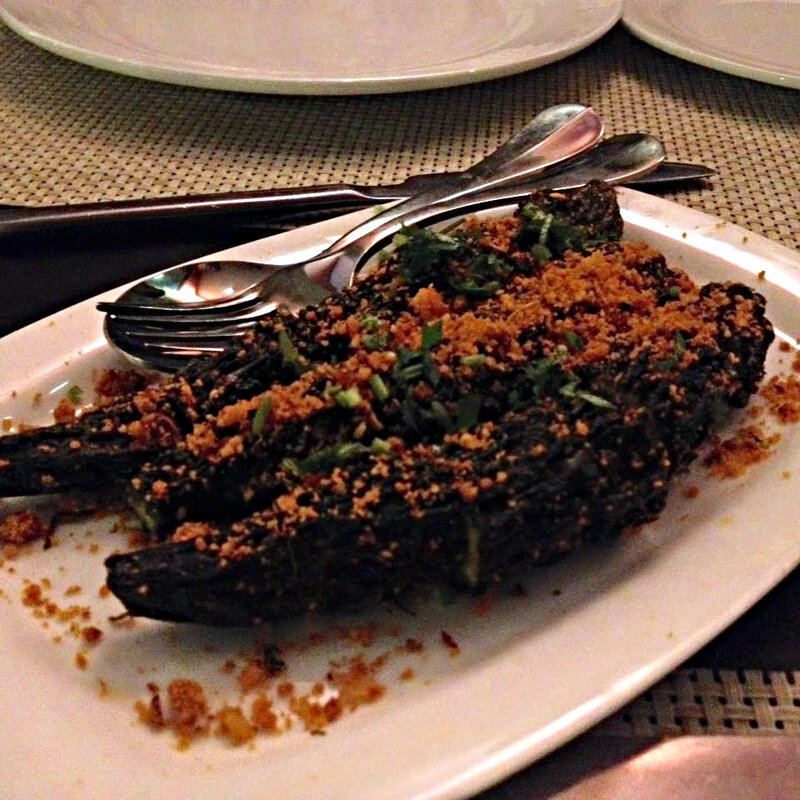 Coringa is now in Koramangala- The ultimate destination for coastal delicacies! Recently, on April 2nd 2016, one of my favorite restaurants, Coringa opened a new outlet at Koramangala. It's located in 2nd floor, opp Canara bank/ E-zone,100ft road, near Sony signal. Now no need of traveling miles and miles to Yelahanka where their first restaurant is located. 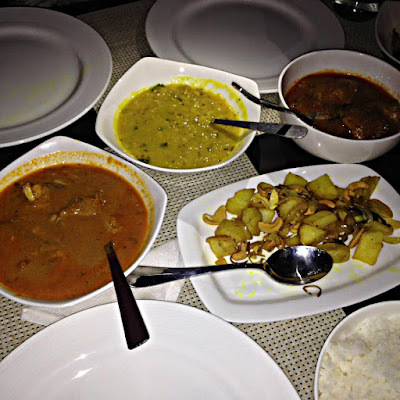 This restaurant is famous for its delicious Andhra coastal food. When you see the term ‘coastal’ one will always think that they serve only non-veg food especially seafood, but Coringa’s veg spread is equally good like their non-veg spread. I was so happy to be invited for a special dinner with some of the well-known foodies and other guests. Once you enter the restaurant you will be surprised to see the ambiance compare to the Yelahanka one. Urban décor will surely make you comfortable. They have a new bar menu exclusively for Koramangala outlet and as everyone knows the fact, food and drinks always go hand in hand. A very polite and helpful staff is another plus point about this place. For the starters we had raw Mango bajji, Colocasia (Arbi) fry, stuffed Bitter gourd, grilled baby Seer fish (Vanjaram), Mutton and Kothimiri Royyalu (Prawns) starters. Couldn't make out which starter was the best one. 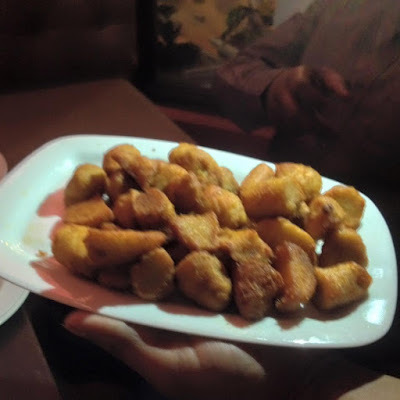 Always love their crispy Arbi fry. But this time the winner was the grilled baby Seer fish. Seer fish with lot of masala and grilled to perfection. 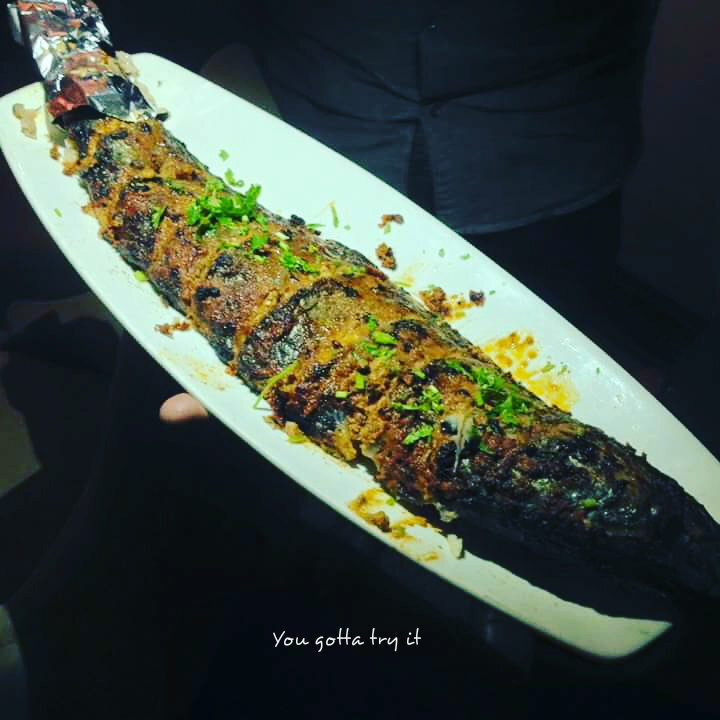 Never knew that grilled fish can be this tasty and this plate full of yumminess will get only at Coringa. Both veg and non-veg starters were heavenly. For the main course we had Kandi podi rice, Mamidikaya pappu (raw Mango- dal curry), plain rice, Cheppala Pulusu (Fish curry), Tomato kodi koora (Chicken curry), Bangaladumpa Vepudu (Potato with cashewnuts), and Mamidikaya Mutton (lamb cooked in raw Mango gravy). I always prefer biriyani for the main course and was amazed by their main course spread. One simple raw Mango dal and Kandi podi rice literally gave me a foodgasm. When you indulge in such yummy food, you will forget that, you are in a restaurant. 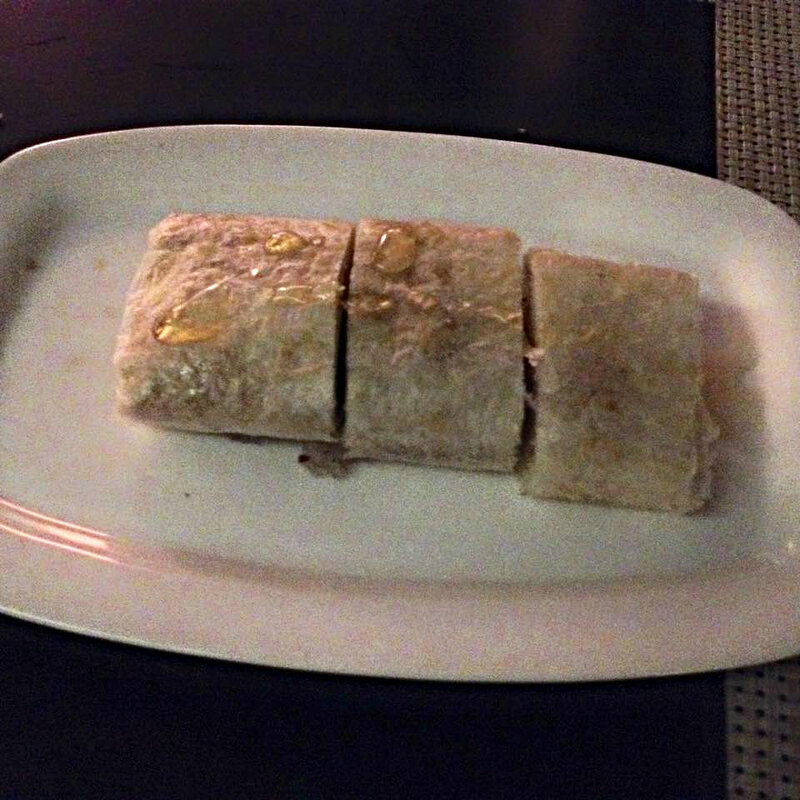 To end the wonderful meal, we had the tastiest dessert- Poota rekulu. I bet, you won't get such an awesome Poota rekulu in any other places in Bangalore.I am so happy that Coringa opened in Koramangala and I am gonna be a regular customer there. So guys, you know where to head for authentic Andhra food with your family or friends. Pics won't do justice as I could manage to take very few pics in dim light.